Over the past 40 years, I have lived in 7 countries and worked on projects in 68 countries. My first career was in oil and gas exploration for a large U.S. major energy company. My oil career assignments included Alaska, China, Hong Kong, Indonesia and the Middle East. Later, I returned to some of the countries and started U.S. businesses in China, Turkey and the Czech Republic. 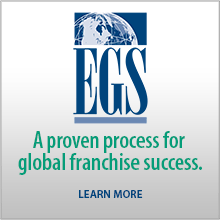 Having had broad and diverse experience as an exploration engineer, master franchisee, entrepreneur and consultant, I changed my focus in recent years to that of advising U.S. companies on taking their business global. Research and analysis are the tools I now like best to help these companies choose the right countries for their specific business. This blog makes use of my experience to highlight international business issues and opportunities, especially in the area of international franchising, which has been my passion for the past 25 years. 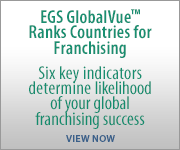 Our company constantly surveys over 25 international business sources to identify trends – both good and bad. In my blogs, I will extract the major points of these resources and identify the source for you.